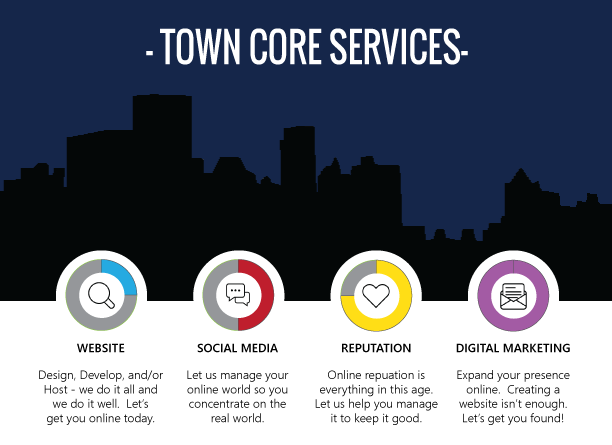 PPC Town has seen businesses come through our town, telling stories of where they thought they were “doing enough” for their business website only to be left in the dust by the competition. Also, stories were shared of businesses using large, big-name companies to do handle their online presence only to be left holding an “ok” website, and a large bill to go with it. Pay-Per-Click Management is very intensive these days, especially when you have competitors that are using your brand and/or business name to market themselves. This is a well known practice used in the advertising industry, so if you are not advertising, you may be missing out on qualified leads for your business. Online advertising is a great service when coupled with Web Management to get the most out of your online business. Email Marketing Services is a great value add for the Online Advertising as a whole. Pay-Per-Click and organic searches are just that, searches. Direct Email Campaigns take your message straight into the customer’s inbox. It is a cost effective way to get your message to many people at once for your business. Starting from scratch, and interviewing you on your target audience and message you want to deliver, our PPC Town professionals will create all the graphics, gather the geographic locations, and deliver the email message to your target audience. Pay-Per-Click campaigns created by the team of PPC Town professionals is highly ranked in the Google Partners arena and holds an above-average grade than the average Google Partner. If you are looking to stretch your advertising dollars online, then you’ve found PPC Town. PPC Town generates reports following an active month of online advertising for a website. The report is a short, but concise report that breaks down what is most important to the customer, which is not a one-size-fits-all report. Our reports are truly catered to our clients. Take your message straight to where your customers are spending time on the Internet, like on Facebook. PPC Town’s professionals can create Boost Posts for advertising within Facebook, for a set period, to further drum up business on this social media platform.